IT is now generally accepted by Masonic authorities that the modern fraternity of Freemasons had its origin among the builder guilds of England in the Middle Ages. A rapid survey of the gild system in general was published in this department in November; it is now in order to examine with more care the Masonic gilds themselves, with a view to gaining a picture (necessarily somewhat in the rough, and in outline) of the customs and manners of our Masonic forbears, a subject that is saved from being academic and dry by the fact that most of the rules, regulations and customs now in operation among us are traced to the early Operative Masons (as it is the habit to describe them), so that it is impossible for us to understand the Masonry of today apart from the Masonry of many centuries ago. The subject is admittedly difficult. "We possess no series of documents, nor even an approach to a series, sufficiently extensive to enable us to form any connected history of the ancient institutions of Masons and Freemasons. We have, in fact, no materials by which we can form any definite idea of the precise nature of those early societes." These words by Halliwell-Phillips, discoverer of the Regius Poem, the oldest and most precious of all Masonic MSS., were uttered in 1839; much has been added to our knowledge of Masonic history since then, indeed Masonic history strictly so-called did not come into existence for nearly a half century afterwards, but even so the statement remains substantially correct. Our sources are scattered as well as meager and often it requires great ingenuity to find any sources at all. Moreover, it should be borne in mind that the Freemasonry of England prior to 1717 was a developing and changing institution so that it varied much from place to place and time to time; it is an error to generalize too widely on the basis of some one fact. Also it is necessary that we challenge every writer on the subject to furnish us with his authorities and sources, and that he prove himself free from partisanship; a vast deal of the so-called "Masonic literature" which floats about the world is derived at second or third hand from uncritical writers who took their own theories from hearsay, or from an ignorant misinterpretation of known facts. The existence of a statement in some old book, even if it be a volume of "Constitutions" more or less officially sanctioned by Grand Lodge, is not by any means a token of its authenticity. The theories of the older writers - so long known and so often loved among us - the Anderson's, Preston's, Oliver's, Hutchinson's, and the rest, are after all theories only, and no more to be protected from the scrutiny of historical criticism than theories promulgated in our own day. A. The general history of medieval architecture. A study of the building art throughout the Middle Ages, as it developed in Italy, Germany, Netherlands, France and England reveals much concerning the builders, so that one may often learn more about Masonry from a non-Masonic historian than elsewhere. Porter's Medieval History, in two volumes, is a case in point. B. The general history of the people of England. The gild life of the Middle Ages played as conspicuous a part in the life of the people as churches and schools do among on the history of the people helps us the better to understand the institutions in their midst. C. Statutes passed by various kings and parliaments to govern labourers. The Ordinance of Labourers, 1349, and the Statute of Labourers, 1350, are typical cases. D. Under the same general head might be included the gild returns, consisting of reports made by gilds to the government upon official demand. It is believed by some writers that the Regius MS., or Poem, was written in response to some such demand in order to furnish official information concerning the history and practice of the Freemasons, late in the fourteenth century. E. The Old Manuscripts of the Craft, the earliest of which was the "Poem" just mentioned, usually dated as of 1390. These documents were written by credulous and miracle-loving men in an age when it was easier to believe marvels than not, so that as sources of history they are to be read with great care; but the application to them of the historical methods popularly known as the "higher" and the "lower" criticism yields results of rare value. F. Diaries, letters, lodge minutes, fabric rolls, etc. The records of the City Company of London, presented to the Craft by Edward Conder, and the old lodge minutes of Scotland are cases in point. G. General literature of the seventeenth and early eighteenth century. Sir Richard Steele mentions Freemasonry, so also Plot, Dugdale, etc. "I cleared me ground for a Palace such as a King should build. A careful analysis of the ritual, for instance, against the background of general Masonic history yields, in the right hands, safe and valuable findings. It has been a huge task to develop these sources of possible information concerning our ancient history; the end is far from yet, so that a wise student will, as dear Horace Bushnell was wont to put it, "hang many subjects on pegs, as not disposed of yet." Many of the most important of our historical problems, such as the question as to the number of degrees before 1717, are still on the pegs, and will probably long manuscripts yet undiscovered, and numberless others not examined by Masonic scholars. The craft of the Operative Mason was not easy to learn, especially since there were no books, manuals and schools such as are now in use; a workman had to apprentice himself when a mere boy in order to learn the art at first hand in the dame school of experience. A compact organization was necessary (as it was in most other crafts) not only to protect trade secrets but also as a means of schooling. Oftentimes a Mason worked alone, moving on from place to place as work might require, and in accordance with the rules and regulations obtaining in the various communities, each of which had its own laws and "customs" - the latter usually recognized by the courts as having the weight of law. In such an instance Masonry could be practiced in a village in which was no lodge or guild. It appears that the "lodge" was peculiar to the Masons, though it is probable that other crafts would sometimes have buildings or rooms of their own near a place of work, the carpenters, for example; but the lodge as an organization, a controlling body as well as the building, hut, or lean-to in which it met, belonged only to the builders. It was usually attached to the building under construction, but sometimes was a permanent structure, as at Aberdeen. In some instances, as at York and Westminster, permanent gangs of workmen were in constant attendance and probably used permanent rooms or buildings. The existence of a lodge wherein to assemble, admit apprentices and for it is mentioned in the Regius Poem among regulations governing apprentices who were forbidden to divulge what happened in the "logge". The Cooke MS. ordains that a Mason must "hele [conceal] the counsel of his fellows in lodge and in chamber", a wise rule that might at this late day be hung on lodge walls. WAS THERE "ONE BIG FRATERNITY"? Were all these various lodges and individual workmen governed by "one big fraternity" having jurisdiction over the entire Craft? It used to be a common opinion that such was the case, but all the facts subsequently unearthed point in the opposite direction, a conclusion well stated by Mr. Wyatt Papworth, in Transactions of Royal Institute of Architects: "All the documents have led me to believe that there was not any supreme gild in England, however probable the existence of such a body may appear. Thus the 'orders', supplied to the Masons in York Cathedral in 1352, give but a poor notion of there being then in that city anything like a gild or fellowship claiming authority in virtue of a charter, supposed to have been given to it by Atheistan in 926, not only over that city but over all England." R. F. Gould, who cites the above, concurs, and says, as regards the theory of one supreme gild, that it all the evidence we possess points in quite an opposite direction." The unity of the Mason trade was sustained like that of any other craft, by general laws, rules, regulations and customs adhered to throughout the land, and also, as explained in the first chapter of this series, by the nature of the work itself which, like technical occupations of the present day did not admit of wide variations in practice. Uniform control of all lodges from a central authority did not come until very late; it was not attempted until after the formation of Grand Lodge in London, 1717, and was not perfected until the organization of the United Grand Lodge of England, in the first quarter of the nineteenth century. A more difficult matter to make plain, but absolutely vital to an understanding of the subject, is the difference between gild Masons and Freemasons. Such data as we possess is both fragmentary and confusing, so that the best specialists have been unable to clear up all the problems involved. However, it seems pretty certain that there was always a rather wide division between the members of the local stationary gilds having a monopoly of building in each town, and the Freemasons employed to build cathedrals and other ecclesiastical structures. The gild Mason was bound down by local ordinances and was not permitted to work outside his own community, which fact will carry all the more force when it is remembered that in the Middle Ages towns were vastly more independent and self-centered than they are now, and more jealous of local laws and customs. But there was of course no steady work in any one town for men trained to work on cathedrals, a specialized form of architecture so difficult and requiring so much special knowledge that even at a loss to understand how the cathedral builders managed some of their problems. It is almost certain that these Masons were a class apart from the gild Masons, and that, unlike the gild Masons, they had rules and regulations of their own, and were permitted to adhere to the same wherever they might be at work, and whatever might be the ordinances binding on local Masons. It is also almost certain that Freemasonry, as it later on evolved into what we have come to call Speculative Masonry, originated among the cathedral building lodges and not among the gild Masons, though of course there must have been a certain amount of interaction and over-lapping as between the two; our Old Charges, our traditions, legends and our symbolism came down to us from the migratory lodges connected with ecclesiastical structures. It might not be possible to prove this theory to the satisfaction of a court of law, but all the available evidence, direct and indirect indicates as much. The point is of the utmost importance, not alone as regards history, but whenever we undertake to govern our present day Craft activities by the past. It was a difficult thing properly to govern a lodge of cathedral building Masons, not alone because of its essentially temporary character, but also from its having in hand the most stupendous work possible in the Middle Ages, involving the expenditure of large sums, the importing of workmen from abroad and the handling of masses of costly material. In such an undertaking all manner and types of men were employed, from the general overseer who would be an illustrious artist, down to the rough workmen and errand boys, a cosmopolitan group in which all classes would be represented, priests, bishops, gentlemen, freemen, bondsmen, serfs, necessitating a complex and highly developed system of government. The general control of such an enterprise would sometimes lie entirely in the hands of churchmen, sometimes wholly in lay hands, and often in a mixed group. In charge of the work would be a general head, variously styled superintendent, overseer, architect, clerk of the works, keeper of the works, keeper of the fabric, director, ingeniator, etc. The presiding officer was called master, warden, deacon, president, as local customs might dictate; the keeper of funds was a box master or treasurer; in addition were other functionaries, such as book keepers, who naturally dropped entirely out of the form of organization when the Craft became speculative, for the officers of the operative lodges were chosen in view of the work to be done, and not as representing degrees or grades of a speculative science. It does not appear that a tiler was employed, though it is certain that some means was used to guard the door of the lodge. "The first and second Masons, who are called masters of the same, and the carpenters, shall take oath that they cause the ancient customs underwritten to be faithfully observed. In summer they are to begin to work immediately after sunrise until the ringing of the bell of the Virgin Mary; then to breakfast in the fabric lodge (logium fabricae), then one of the masters shall knock upon the door of the lodge, and forthwith all are to return to work until noon. Between April and August, after dinner, they shall sleep in the lodge, then work until the first bell for vespers; then sit to drink till the end of the third bell, and return to work so long as they can see by daylight. In winter they are to begin work at daybreak, and continue as before till noon, dine, and return to work till daylight is over. On Vigils and on Saturdays they are to work until noon." It appears that from time to time assemblies were held, called also congregations, and in one MS. (the Papworth) associations, in order that all lodges in a given district be kept in due order and under the control of the king's officers. The Old Charges make much of these, though only three assemblies are distinctly mentioned; the Regius refers to one called by King Athelstan and attended by great lords and burgesses; another version tells of an assembly held at Windsor when Edwin was made a Mason; and nearly all of them refer to assemblies at York. "Every master that is a Mason," says the Regius, "must be at the general congregation." It is probable that some of these meetings were called by craft officers, and others by the king's sheriff or other officers, in the latter case to see that the craft was strictly obeying the laws of the realm. The Cooke MS. makes it plain that attendance was obligatory on masters: "That every Master should be notified to come to his congregation, that he may come in due time unless excused for some reason. But those who have been disobedient at such congregations, or been false to their employers, or had acted so as to deserve reproof by the Craft, should be excused only by extreme sickness, of which notice was to be given to the Master that is principal of the assembly." There is no record of any nation-wide assembly, neither is it possible to be sure concerning when and where such meetings were held, or how long the custom continued; the records are so scant, and often so confusing, we cannot make sure of any point except that some manner of assembly was occasionally held. Some idea of the extent of territory covered by the authority of such a general assembly is suggested by the Old Charges, as in the Cooke, Grand Lodge, York, Sloane and others which make it fifty miles; the Harleian, ten miles; and still others, all of later date, five miles. As time went on and the towns and population of England increased, assemblies went altogether out of fashion; it may very well be that the idea of forming a "Grand Lodge" in London, 1717, was suggested to "some old brother" by a reading of the Old Charges; we can at least be certain that the brethren at that time felt justified in taking their radical step by the fact that general assemblies "had been holden in old times." HOW MANY DEGREES WERE THERE? The Operative Masonic lodges did not employ degrees at all in our modern sense of the term but recognized grades of workmen and had regulations and, probably, ceremonies in accordance. 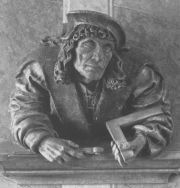 A youth was made an apprentice when only twelve or fourteen years of age, therefore it is not probable that his admittance to the craft was attended with any very heavy ceremony, but it is certain that he was made to hear the Legend of the Craft, its rules and regulations, and was given an oath. After seven years he was passed to the other grade, and became a Master Mason or Fellow, the two being two terms for the same grade. Authorities are about evenly divided as to whether or not this advancement was attended by any kind of secret ceremony; the fact that apprentices are known to have been present at "the making of a master" would indicate that no such thing occurred; but the other fact of there being such a cleavage between the two grades would suggest that a master received some secrets never imparted to an apprentice. On the continent a workman journeyed about for two years or so after being made a Fellow of the Craft, but this was not the custom in England where, in the fourteenth century, it was expressly prohibited by law. All masters stood on the same level as regards rights, and privileges, but a few masters enjoyed the further honour of being selected to superintend the work, and they therefore stood on a still higher grade as regards position; but even so they possessed no secrets of the trade not held by the fellows. Wages varied from time to time, often being fixed by statute; usually the workmen received gloves, tunics, aprons, and sometimes board or food supplies, apprentices receiving nothing at all or else mere pittances in addition to room and board. At every fabric many workmen not members of the lodge were necessarily employed, of which we have abundant records; they were known as rough masons, cowans, rough setters, "masons without the word", wallers, plasterers, etc. It was strictly prohibited for any master mason to lay out plans or otherwise employ his trade secrets in the presence of these men, who were looked upon as "profane", or outsiders. Also - this is a fact of importance - it was necessary to give the "freedom of the lodge" to certain men connected with the works who were not trained Masons, a bishop it may be, having the whole work in charge, or a man especially skilled in geometry or other important items of "speculative" Masonry. In Scotland these brethren thus received into the lodge, but not as actual workmen, were known as "geomatic" or "gentlemen" Masons. Some of them were doubtless very learned men, and it is not a wild guess to suppose that a certain amount of the symbolism and esoteric "work" which at last evolved into the magnificent Ritual now employed may in the beginning have been due to the presence of these educated gentry. When the Craft was transformed into a speculative institution in the eighteenth century the ancient and probably very simple ceremonies employed by the Operative Masons were greatly changed and expanded, in some cases by the addition, one may believe, of materials from sources other than Operative Masonry; the one or two degrees were reorganized and a third was added, sometime after 1720. After this tri-gradal system became permanently established - a thing it was a long time doing, and after encountering opposition - it was adopted in Scotland, Ireland, and on the Continent, thus giving rise to the present world-wide Fraternity. It should be noted just here, and as a fact never to be forgotten by the student, that whereas many countries other than England had a system of Operative Masonry it was in England alone that Speculative Freemasonry developed; all the Speculative Freemasonry now in existence came originally from that one source. Attempts to explain our present day practices by reference to Operative Masonry in Germany, Italy, Spain and France are usually misleading. Secrecy was as vital to Masonry in these early times as it is now, and for similar reasons except in the matter of trade formulae, the possession of which had the same kind of money value to an Operative Mason that the possession of a patent carries with it now. Without a careful guarding of all that went on in lodge the whole system would have gone to pieces, architecture would have become a lost art, and the world have been vastly the poorer, a thing one could say with equal emphasis of Speculative Freemasonry, which keeps the doors shut to outsiders not because it has aught to be ashamed of, as it is the fashion in some quarters idly to assume, but because without its arcana it would soon cease to be anything more than a mere social club, of which, heaven knows, we already have an abundance. But whereas our secrets are moral and speculative, those held so carefully by our ancestors were of the trade variety, and had to do with methods of building and designing. I have already quoted a passage from the Regius Poem commanding the apprentice to "hele" (conceal) the "counsel of his fellows"; regulations of a similar import occur in all the other Old Charges, as witness this passage from the Harleian: "You shall not disclose your Master or Dame [the Master's wife] theire Counsell or secrets, which they have imputed to you, or what is to be concealed, spoken, or done, within the precincts of their house." This passage shows that Operative Masonic secrecy had its moral as well as its professional side. So is it amongst us; Speculative Freemasonry teaches that secrecy is a virtue to be practiced everywhere and always, and not merely a device for keeping outsiders in the dark as to lodge affairs, a wise admonition in a world so filled with people where the confidence that one reposes in his fellow needs to be kept in sacred trust. The craft of the Freemasons differed in one all-important regard from that of almost every other gild, namely, that the work of their predecessors remained visibly in their midst. A tailor, a carpenter, a tinner could care little about the history of his craft, its traditions, or its ideals; why should he, for his work quickly perished and could leave behind it no enduring remains. With the cathedral builders it was otherwise. They were familiar with the work their fathers had done, loved and revered it, and found in it an open book of lessons, a well of inspiration, a house of doctrine. Accordingly, it was a matter of great moment to them to preserve the traditions of the past, its light and its lore, because they were themselves engaged upon fabrics that would last from generation to generation, and transmitters of an art as enduring as the stones wrought into buttress and wall. This one fact alone, it seems to me, ignoring all others, would almost make inevitable the development of a system of symbolism. Men who built churches had to think and practice religion, had to familiarize themselves with philosophy and know something of art, and all of these interests in that day of no printing presses and general illiteracy could be expressed in no other way than symbolical. Symbolism was the popular language, so that the sculptures on the facade of a cathedral were a book for the folk, a history of the world, a Bible to the eye. In such an age it would have been strange indeed if the artists who spoke to the people through symbols had not employed the same means of teaching their own apprentices and of preserving their own secrets. One needs only look at the photograph of the front of a cathedral to see that the men who made it were symbolically minded not to conceal their ideas but to express them; and that the mightiest thinkers of the period left behind them in symbols some of the richest and rarest ideas ever known, and often not to be otherwhere found. To interpret their symbols is not an antiquarian's game, like the piecing together of an old puzzle, but a legitimate work of the mind, endeavouring to translate into our own language and thought forms the truths learned by the Freemasons and taught by them in the one manner they knew; it is like the translating of a wise and ancient book from a dead language into a living. It was the Reformation that gave to Operative Masonry its death blow. Henry VIII, after dissolving the abbeys and monasteries, was seconded by Edward VI, who swept away the last vestiges of brotherhoods, fraternities and religious associations other than the church, both kings pocketing the money in the name of the privy purse. The monasteries had been the principal employers of the Operative Freemasons, and with the coming of an age of puritanism in thought, morals and art the cathedral building period came to a sad but not inglorious end. The rank and file of Operative Masons dropped out and completely lost interest in the Craft; only the more intelligent among the lighter grades of workmen continued to cherish the ancient traditions, to read the Old MSS., and to pore over the time-hallowed symbols. By the seventeenth century lodges began to become definitely speculative, or at least non-operative; and by the first quarter of the following century the whole system was reorganized from top to bottom, Operative Masonry passed away, except in isolated instances, and Speculative Masonry came in. But after all, and in the sequel, the world has been the gainer. Many of us are Masons who never held a trowel, continuing the hoary customs and keeping alive the ancient fire, not because we are superstitiously reverent of the past, but because in our inheritance from the Operative Masons we have a treasure of unsearchable riches by which one is enabled to become in his secret soul an unprofaned temple wherein a light dwells brought bona out the past by which we are helped to guide our feet along the twisted paths of life toward the high calling of a man, which is uprightness, honour and brotherliness. A.Q.C., Antigrapha; Brewster, History of Freemasonry; Robert I. Clegg, Mackey's Revised History of Freemasonry; Edw. Conder, Records of the Hole Crafte and Fellowship of Masons; Dallaway, Master, and Freemason; Findel, History of Freemasonry; Fort, Early History and Antiquities of Freemasonry; Fr. Funck-Brentano, The Middle Ages; R.F. Gould, Collected Essays on Freemasonry; R. F. Gould, Concise History of Freemasonry; R. F. Gould, The Four Old Lodges; R.F. Gould, History of Freemasonry; William Herbert, History of the Twelve Great Livery Companies; W.J. Hughan, Old Charges of the British Freemasons; W.J. Hughan, Origin of the English Rite of Freemasonry; Lethaby, Medieval Art; Lethaby, Westminster Abbey and the King's Craftsmen; Murray D. Lyon, History of the Lodge of Edinburgh; Meredith, Economic History of England; J.F. Newton, The Builders; Frederick A. Paley, Manual of Gothic Architecture; Pierson, Traditions, Origin, and Early History of Freemasonry; Robert Plot, The Natural History of Staffordshire; A. K. Porter, Medieval Architecture; Wm. Preston, Illustrations of Masonry; Toulmin Smith, English Guilds; F.J. Snell, The Customs of Old England; Lionel Vibert, Freemasonry Before the Existence of Grand Lodges; Lionel Vibert, Story of the Craft; Paul Vinogradoff, English Society in the Eleventh Century; A. E. Waite, New Encyclopedia of Freemasonry; J.S.M. Ward, Freemasonry and the Ancient Gods; E.M. Wilmot-Buxton, A Social History of England: Robert Wylie, History of the Mother Lodge Kilwinning. Mackey's Encyclopedia of Freemasonry (Revised Edition). Anderson. 57-58; Apprentice, 70-71; Architect, 75; Architecture, 75; Athelstan, 85; Builder, 123; Church, 151; Comacine Masters, 161-167; Company of Masons, 472; Congregations, 174; Corporations of Builders, 123; Cowan, 183-184; Craft, 184; Craftsman, 184; Deacon, 197-198; Fellow, 261; Fellow Craft, 261-262; Gentleman Mason, 294; Geomatic, 295; Gloves, 299-300; Grand Lodges, 306-307; Hale, 313; Halliwell Manuscript, 616; Harleian, 317; Hutchinson, 342-343; Lodge, 449-451; Master, 473-476; Master of the Work, 476; Master Mason, 474-475; Middle Ages, 483; Oliver, 527-529; Old Masonic Manuscripts, 464-467; Operative Art, 532; Operative Masonry, 532; Overseer, 540; Preston, 579-582; Regius Manuscript, 616; Revival, 622-623; Ritual, 627; Sloane, 694-695; Stone-Masons of the Middle Ages, 718-722; Symbol, 751-755; Tiler. 786: Tyler, 811; Wages, 834; Warden, 835-836; York, 867-871.